Thank you so much for all of your time, dedication & enthusiasm you have given to Robbie & Jason over the past many years. Robbie will surely miss you. You have made music fun for him. We want to take time to thank you specially for being such an integral part of both Robbie’s and then Jason’s life at Children’s World. For nine years your name has been a household word – always with happy thoughts and times. You have helped make music special in our home. We will miss seeing you at school – but we’ll just have to listen to your tape more often. Just a short note to let you know how much we appreciate the music program you conducted at CWLC – Blair is doing well in 4th grade, and you will be happy to know that on his own he decided to take drum/xylophone lessons at school. Christina continues to love music in 1st grade – it is amazing to me how much she knows about instruments – from your introduction to the classes of various instruments. A big thank you for your passing to the children the love you have for music. I am the mother of Joe and John Majewski. I have never met you but I wanted to express my sincere gratitude for developing my sons’ love and appreciation of music. My kitchen floor is filled with musical instruments from the likes of pots and pans, spoons, soup ladles, homemade paper plate drums filled with Froot Loops and covered with tinfoil. I have hours of video tape of the Majewski boys jamming sessions than can be used as blackmail for any potential girlfriend, wife or political campaign. Given a kindergarten assignment to draw and name his favorite instruments, Joe was able to discriminate a double bass from a cello, a French horn from a trumpet and could name different types of guitars. I wanted to write you this note to let you know that you do make a difference in our children’s lives and that your hard work and dedication to our children is greatly appreciated. Thank you for enriching my sons’ lives through your talented gift of music. As my children, Joe and John Majewski, leave CWLC, I just wanted to thank you for inspiring them with the love of music. Both my sons speak so enthusiastically about your program and continue to be very involved with it. Every night John creatively uses a variety of materials to produce some kind of instrument and is requesting that I sign him up for saxophone lessons. When his older brother Joe first went to Afton he got disciplinary slips for bad behavior in music. I later found out he was bored because the music program wasn’t as fun as yours. He already warned John about it. Consequently, Joe has a new music teacher, his behavior improved and he is now taking piano lessons. I am the only mother in the world who doesn’t have to make him practice because he’s at the keyboard every day by his own initiative. He informed me he’s signed up to play the trumpet in fourth grade next year. Joe also excels academically, he’s a straight-A student and is flourishing in the Advanced Mathematics Program. I believe some of this was influenced by the intellectual stimulation music provides. John’s benefits are just as evident. He knows the difference between percussions and woodwinds, jazz and blues and that Joe Sweeney invented the banjo! I thank you from the bottom of my heart for making such a big difference in my sons’ lives by sharing the joy of music. We wanted to express our sincere appreciation for all the years of service you have given Will. You were his inspiration since Children’s World! We credit you with nurturing Will’s love of music and his interest in trying multiple instruments. Best of wishes to you and your family in the future. Thank you for such fun lessons! I will never forget all of the good times with you. Thank you for helping me out with piano and guitar. You were such a great teacher, and person. I am never going to forget you ever! I’ll miss you! Thanks for bringing music into our hearts and homes! 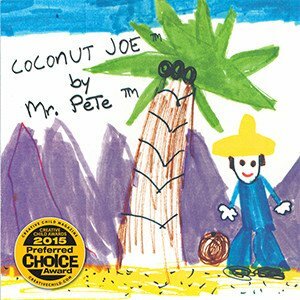 I am writing to thank you for the opportunity to share Mr. Pete’s tape, “Coconut Joe”, with our families. When these tapes went on sale, the children and parents were equally ecstatic. 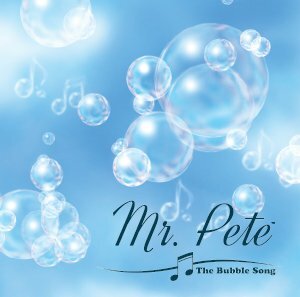 The children so frequently speak of Mr. Pete and sing his songs that many of our parents were thrilled that they would finally get to hear Mr. Pete. Many parents have shared with us how much they have enjoyed this tape and we would like to pass this on to you. 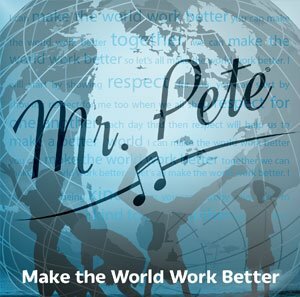 All of the families who purchased Mr. Pete’s tape have been thrilled. It seems to have given them a family bonding time they all truly enjoy. Thanks again for providing us the opportunity to share this experience with our families.